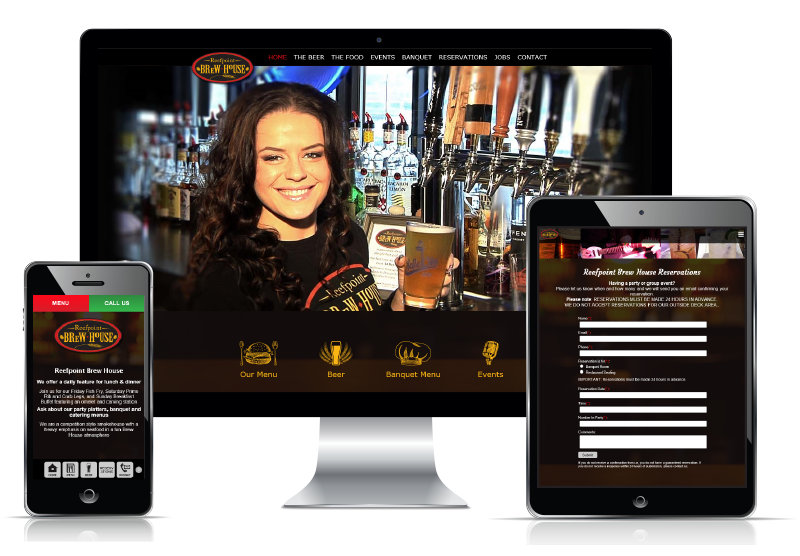 If you're looking for fully responsive, mobile-friendly, affordable and easy to update website for your restaurant, then you've come to the right place! Top Restaurant Solutions gives you complete control of your website with easy to use tools and powerful features. Update your menu, specials, coupons and other content easily with our user-friendly admin tool. And, if you use the built-in digital menu board and/or online ordering feature they will update at the same time. That's right, no need to update them separately, you can update all three of these in one place, and just one time. We know that running a restaurant likely keeps you very busy and you don't have allot time to learn how to use a complicated website or online ordering system. Our easy to use CMS (Content Management System) admin tool makes updating your website and other content easier than ever. You won't need to pay a web designer every time you need an update and you will never have to wait until they have time to work on it for you. Simply log in, make the change and save it. Quick and easy! Each of our websites has its own unique look and feel. You choose your layout style and let us know what you would like for your graphics and your site's look and feel. We'll then customize the site to your restaurant. One of the many benefits of going with a our restaurant website solution is that if you need assistance we are here to help you... we will assist you with getting your menu setup, adding pages, online ordering, setting up your digital menu boards or whatever else you may need assistance with. We want you to be successful and we will go the extra mile to make sure your site looks and functions great! Built-in easy to use page editor to add copy, change fonts, add links, format text and more! Easy for anybody to use!